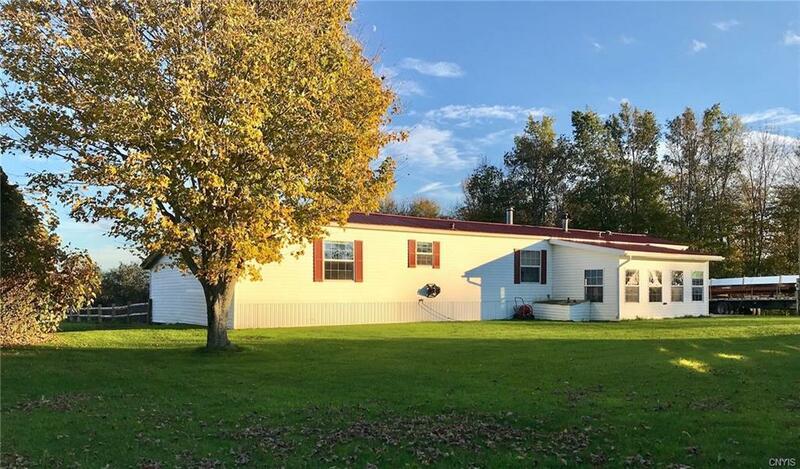 Enjoy a well maintained three bedroom two full bath home on 2 countryside acres. The eat-in kitchen living room with wood fireplace provides a great layout for gatherings. If you are more partial to the outdoors, enjoy the great backyard for barbecues and fun! The double car garage will provide plenty of room for your hobbies and vehicles too.